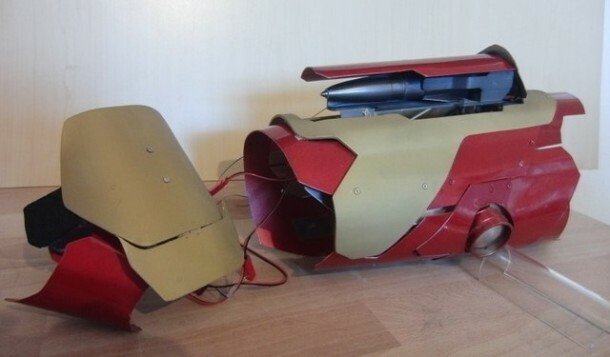 “I am Iron Man,” you can sound more convincing while saying this if you are use the latest invention created by German Patrick Priebe who is a weapons-hobbyist. 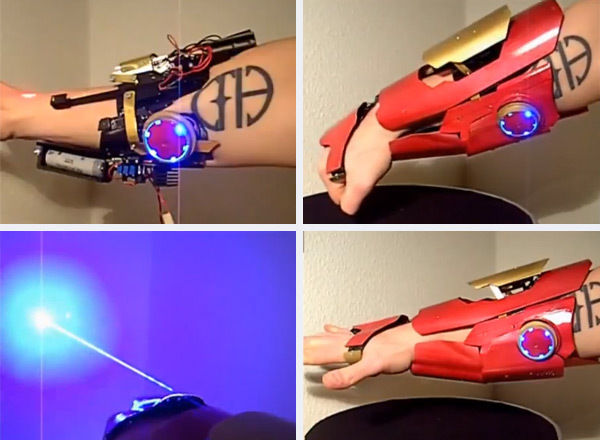 His latest gauntlet inspired from Iron Man (yes he has created another laser gauntlet in the past) is able to fire an actual rocket! 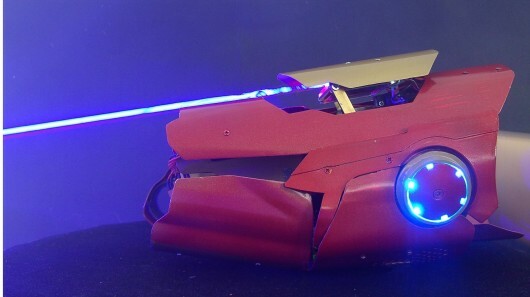 The device takes its form from the one featured in Iron Man 3 and comes with an aluminium body that has been given the gloss red/matte gold paint finish. Patrick said that the painting process took him about two days to complete since it was a lengthy job. The procedure required application of a primer layer and a filler layer followed by a lot of sanding which was then followed up by a white base coat, chrome coat, 2 layers of candy red and then a clear coat layer. The gauntlet has two buttons located at the inside of the ‘hand-section.’ The first button allows the user to activate the rocket launcher making it rise up or move back down from the main gauntlet while the second button fires the rocket. The gauntlet features a modified rocket bought from store that goes ‘ka-boom’ on impact. It is also equipped with an aiming laser that enables the user to have a general idea about where the rocket will be making the impact. As for scenarios where you won’t require a rocket, a burning laser has been incorporated into the palm area of the hand section. According to Priebe, the gadget took him about 250 hours to complete and he will neither make the plans public nor create models on order. Unfortunately, Priebe happened to injure himself while testing the gadget and ended up with a 10-cm long line of burn spots that looked quite nasty on his upper arm.